Echoed by many speakers during the three day conference, Judge Pirro challenged the deliberate misrepresentation that ISIS, the Islamic terrorist army alleged to number 30,000 in Iraq and Syria, is not about Islamic fanaticism. “If they’re not Islamic fanatics, what are they, Martians?” asked Pirro. She questioned this administration’s true allegiance and intent as reflected by U.S. actions in Egypt. Emphasizing that we need to be “morally right,” not “politically correct,” Judge Pirro said, “The people who started this country are turning over in their graves asking what in the world they did all of that for.” She repeated her warnings that the jihadist killing Christians and other religious minorities in the Middle East “are coming for us,” here on U.S. soil, and are probably already here, entering through the southern border sieve. It was certainly moving to hear the heartbreaking testimony of Tyrone Woods’ father. Tyrone chose to disobey orders and tried to save Ambassador’s Stevens’ life, paying with his own life in the process. 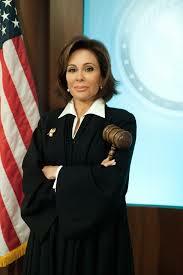 Judge Pirro explained how the administration “took Islam out of the talking points on Benghazi because we didn’t want to offend Muslims,” and how a video was purposefully blamed for the vicious attack even though, she reminded the audience, if a video was the culprit, which it was not, we still have freedom of speech in this country. This entry was posted in Faith and Freedom and tagged ACT for America, Benghazi, Egypt, fanatics, Islam, jihad, Judge Pirro, keynote speaker by Admin. Bookmark the permalink.